Before we can programmatically manipulate test variables, we must first declare (add) a Test Variable. 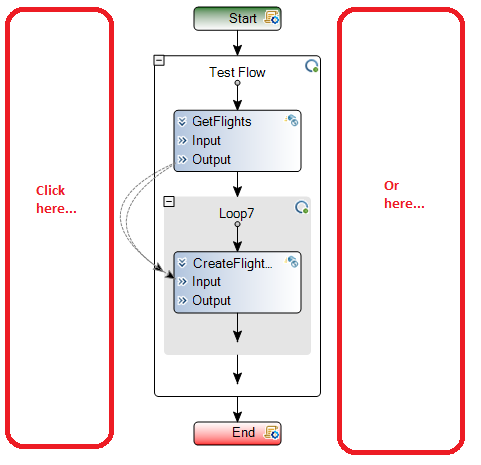 Click an empty area in the Test Flow. In the Test Property Sheet, click the Test Variables button. Give the User Variable a name. In this example, we are going to use Flight_Number. That’s all there is to it! Now we can use the Test Variable named Flight_Number anywhere in this Service Test script. Remember that you should only programmatically set or retrieve Test Variables when it is not possible to accomplish the same task within the Service Test GUI. Use the Set Test Variable activity (Miscellaneous) or Link to a Data Source (Test Variable) when possible. Keep it simple. Don’t hesitate to ask questions or let us know if you have any issues by posting a comment below!